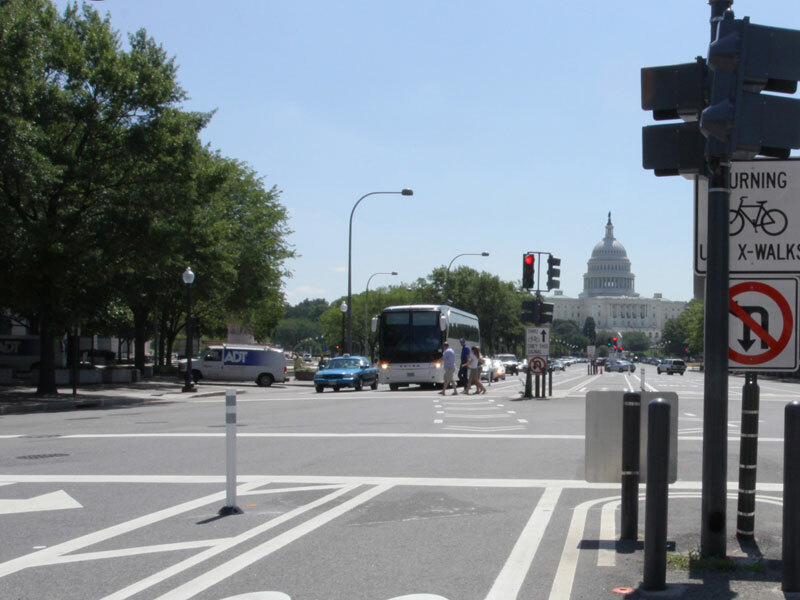 Often called "America's Main Street" and L'Enfant's "Grand Avenue," Pennsylvania Avenue connects the corridors of power in the nation's capital, including the three branches of government and large federal agencies. Although a visual connection between the White House and the Capitol was interrupted by the Treasury Building, the view of the Capitol has been preserved and enhanced by the buildings on either side that are significantly set back from the street. Pennsylvania Avenue from First Street NW to 15th Street NW. Today, the street contains a mix of civic spaces, public buildings, monuments, parks, local government, residences, hotels, theaters, and museums. 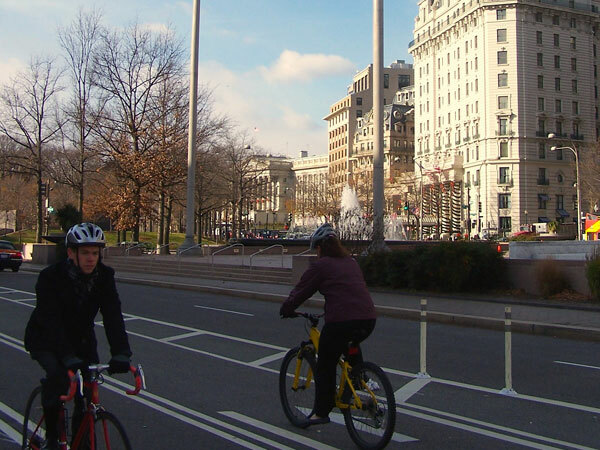 For over 200 years, Pennsylvania Avenue has been the site of historic events such as presidential inaugurations, state funerals, and protests, marches, and celebrations. A march down Pennsylvania Avenue holds great symbolic meaning and has played a role in the fight for workers' rights, women's suffrage, and civil rights. The Old Post Office Pavilion and the U.S. Capitol in the distance. 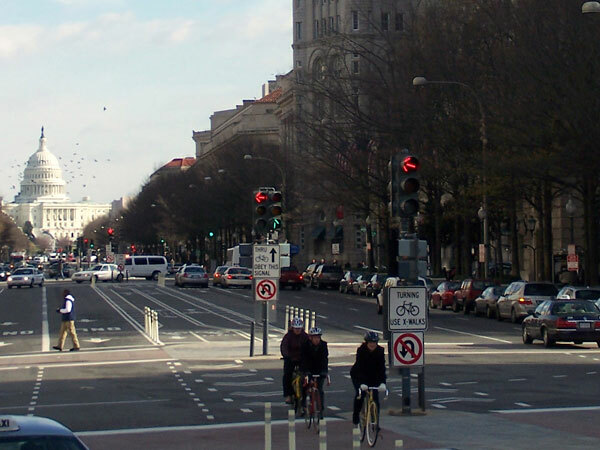 Photo courtesy DDOT.